The merharness and Tactical Tether were born out of necessity. Most knives come with Tec Loks or some sort of belt loop. The width of the Tec Lok pushes it away from the body. The further away from the body it is, the harder it is to conceal, and the more likely it is to get caught on something. Both the Tec Lok and belt loop require a belt. So you you not only have to wear a belt but you need to have room on your belt to fit the knife. With the mercharness you don't need a belt or give up valuable real estate when you are wearing one. 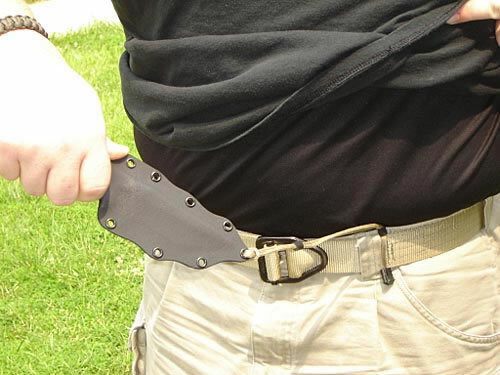 To deploy there is no need to reach behind your hip, instead your knife hangs comfortably inverted under your armpit. Unlike belt carried knives, a knife worn on the mercharness can be accessed during all three phases of interpersonal combat; standing free range movement, clinch, and on the ground. The mercharness works with any kydex sheaths and is being used to carry Kel Tecs, Ruger LCP, flashlights, and a wide array of other tools. The Tactical Tether is first attached to the sheath and then to the sheath. This creates a static cord. The knife is simply shoved into the waistband, we prefer to carry it center line. The position allows the uses to get a "clearing cut" of the sheath. 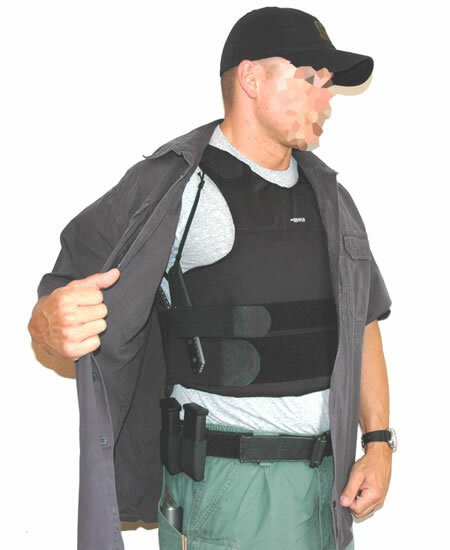 Just as with the mercharness, the Tactical Tether also allows you to hold the empty sheath away from your body where you can see it. This reduces the chance of cutting yourself under stress. h Lok you can offer your customer both the mercharness and Tactical Tether. An added bonus is that you do not have to spend time making belt loops or attaching other options. For information on buying mercharnesses and Tactical Tethers in bulk please e-mail us.